Sarah Lahbati And Richard Gutierrez Are Getting Married! 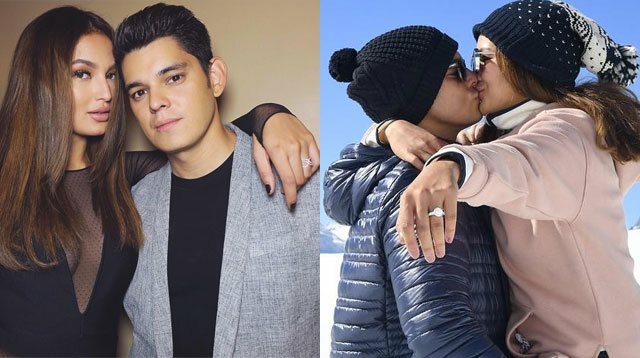 Sarah Lahbati just broke the news that she and her long-time partner Richard Gutierrez are engaged! The actress posted a picture on Instagram of Chard kneeling down on one knee amid the scenic Swiss mountains. Sarah wrote, "The stars aligned in the universe and this happened. I'm marrying my best friend." Richard's twin brother Raymond Gutierrez interviewed the couple for Preview magazine's August 2017 issue, and he revealed that it happened in Zermatt, where Sarah was born, and where her father is currently based. When Sarah and Richard went hiking and found a nice spot to set up their camera and tripod for some pictures, little did the actress know that her partner of five years was about to pop the big question. Preview wrote that Richard asked Sarah to play some music while he set up the camera (she chose The Weeknd's "I Feel It Coming"). Richard shared, "I go to her, and I say 'Okay, smile' and then she was kissing me. And then there I kneeled down and she started crying." The two took a helicopter ride right after. How perfect! Sarah and Chard have a 4-year-old son named Zion.